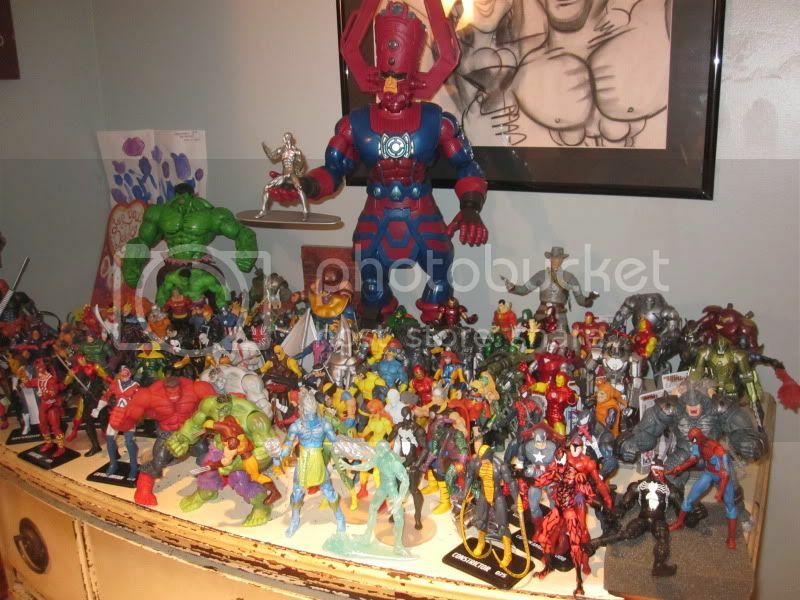 My Marvel collection is strictly the 3.75" figures. I love all of the detail and articulation that's crammed into most of these little guys. I've been doing a lot of jumping around here on the Toyark, so wanted to make one thread to appreciate this awesome little universe and hopefully share some MU related updates & info. I showed my appreciation to them last week by buying these six..
..in fact, I appreciate them so much that I had only intended to buy Bullseye out of this group. 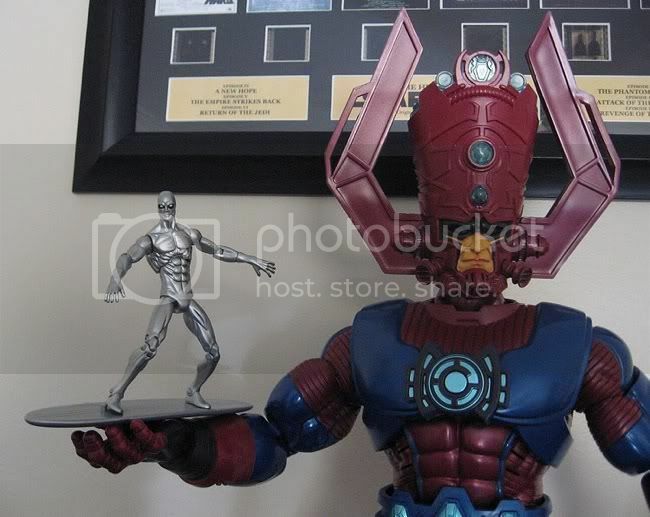 And I also appreciate how Galactus serves up his very own Silver platter..
my marvel collection consists of the 3.75 Marvel Universe as well, I have about 5 Marvel Select, but my main Marvel Collection is the 3.75" ones. Last edited by roadrevenge; 05-09-2011 at 08:40 AM..
Last edited by Nexodusrex; 05-09-2011 at 09:28 AM..
good thread boys let's get some more images in there! 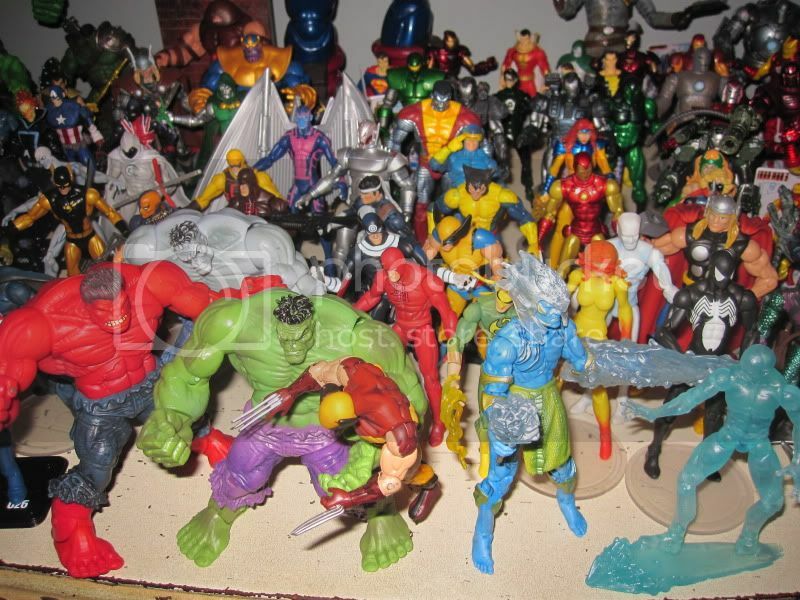 I started collecting Transformers a few months ago and now have a nice collection of 60+ Marvel Universe with a small growing collection of Marvel Legends because of how cool I thought the Marvel Universe 3.75" figures were. Nice starting collection bud and impressive list road revenge. I am impressed with the line as well. However, I only collect those related to X-Men. 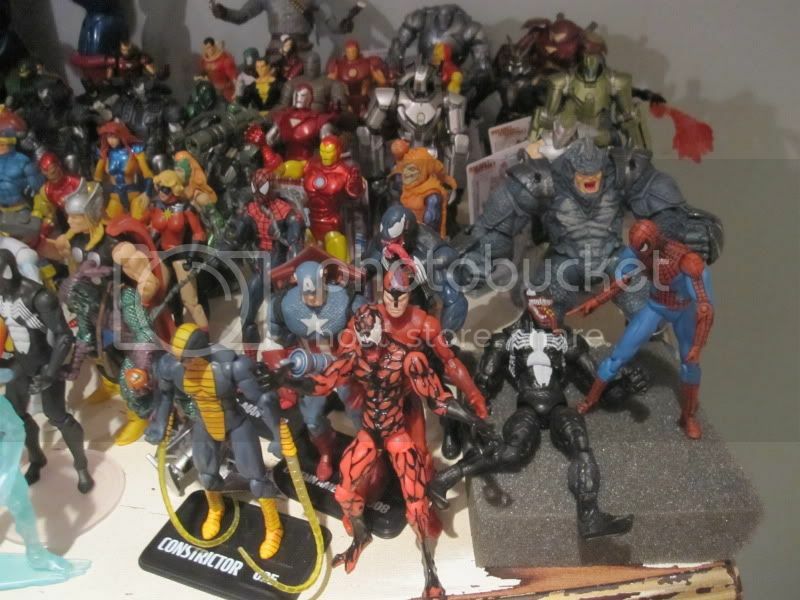 I am almost exclusively a 3 3/4" or 4" collector (aside from a few Transformers here and there). From the time I was a kid; GI Joe has always been my main figure line and has been the one I have pursued most intently. Now that has changed. MU is absolutely the most exciting figure line I've collected in the past 10 or 15 years. In spite of the repaints here and there, the variety of characters, the sculpts, the paint apps, the card art, and just about everything about this line blows me away with sheer awesomeness. 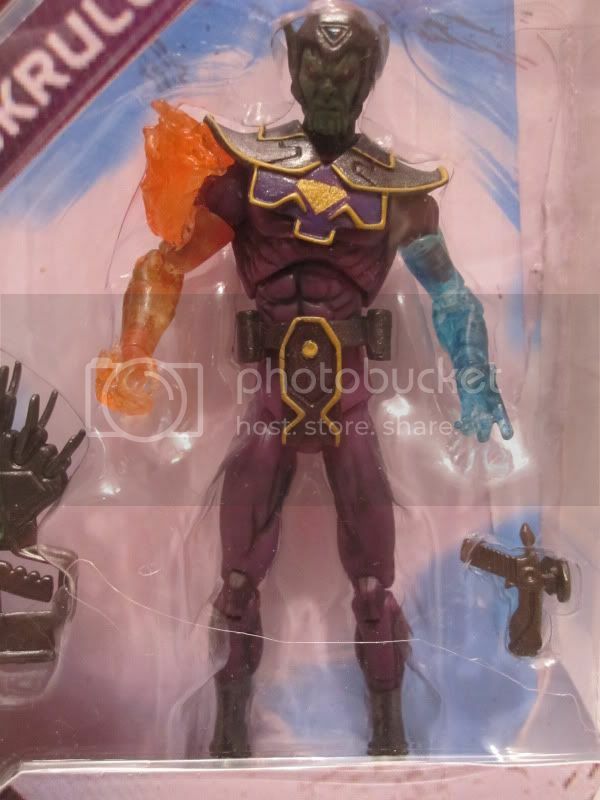 I am finally getting the characters in action figure form that I have been waiting for since...well...forever. So far I have every MU figure (including variants, packaging variants, text variants, etc.) 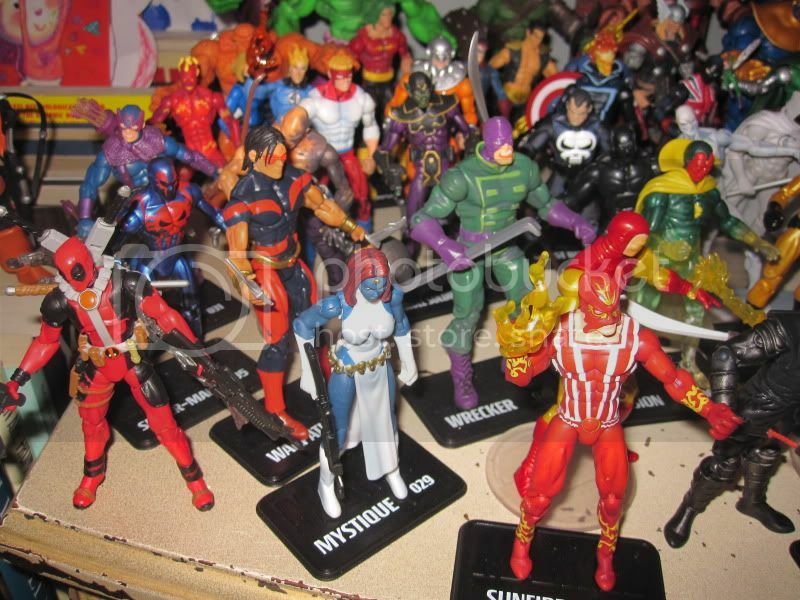 except for light blue Bullseye, SDCC WW2 Cap, and SDCC Ages of Thunder Thor. 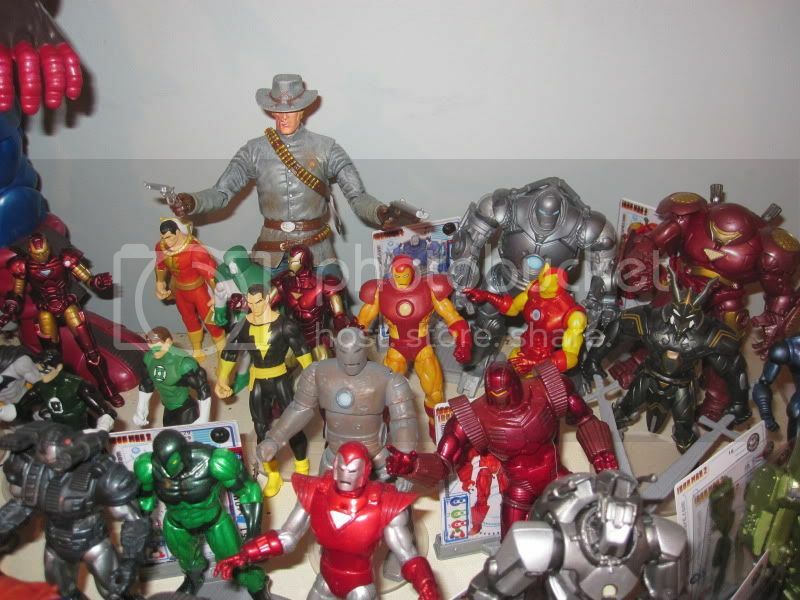 I also have a good number of Iron Man 2, XMO: Wolverine, Thor, and Spider Man figs to go with them. 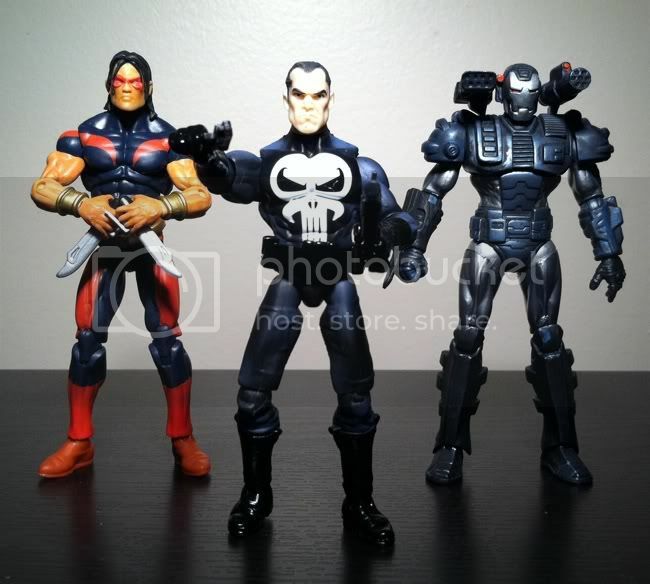 Every new wave that comes out just gets me more and more excited about the line. Nexodusrex, I only go for one version of each character too. 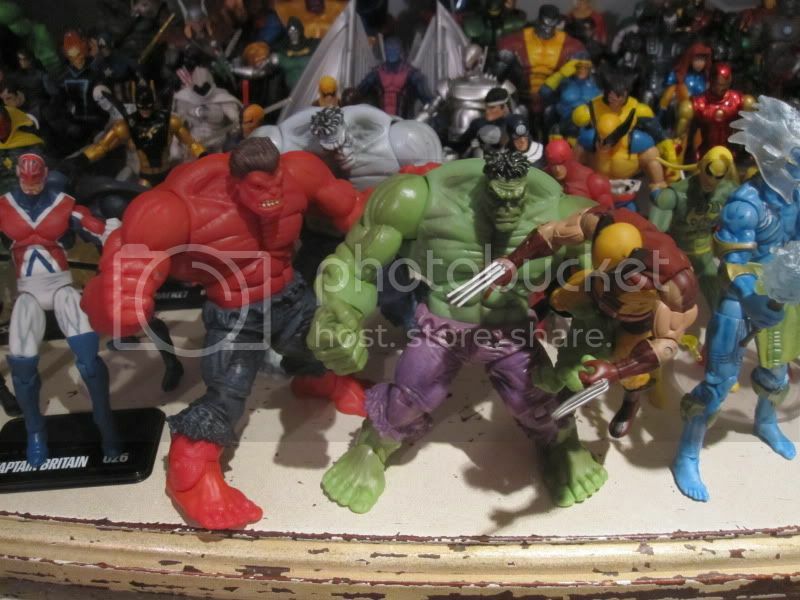 The only characters I have more than one version of are Wolverine (go figure), Archangel (with and w/o Death Mask), and now The Hulk.. couldn't resist WW Hulk any longer. And another random appreciation picture.. I took these a couple of weeks ago so its missing some of the new additions but you get the picture. The pictures arent the best but I initially took them to show them to my brother. I plan to display them in action poses and separate them more once we move and have more space. I hope this Link works, Its in the bottom of my album on facebook. Is that a modded half phasing vision I see in that collection? haha, good spot. Yea I have a custom half phasing Vision. I'll take pics and post them up. 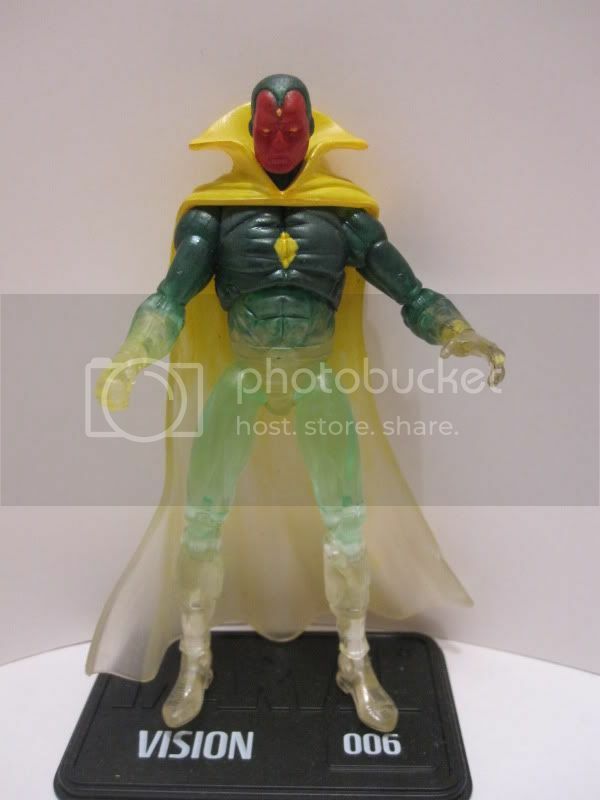 Also have a custom super skrull. It's Not a Doll, It's an ACTION FIGURE!!! Ohhh! Lets see it- I've got on in progress and I need inspiration! Very nice i love that Vision! 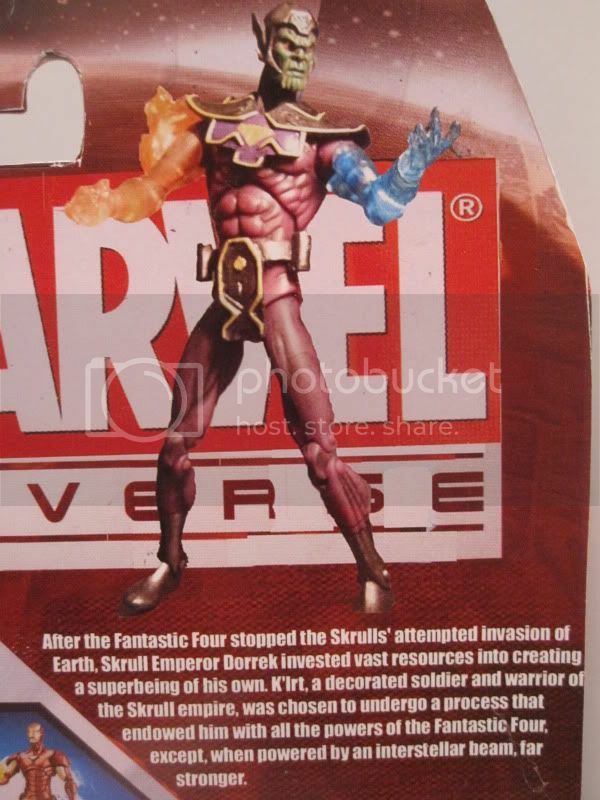 I think your skrull need a different leg and maybe a different upper body. I dont want to take credit for either figure, I got them both off of eBay. 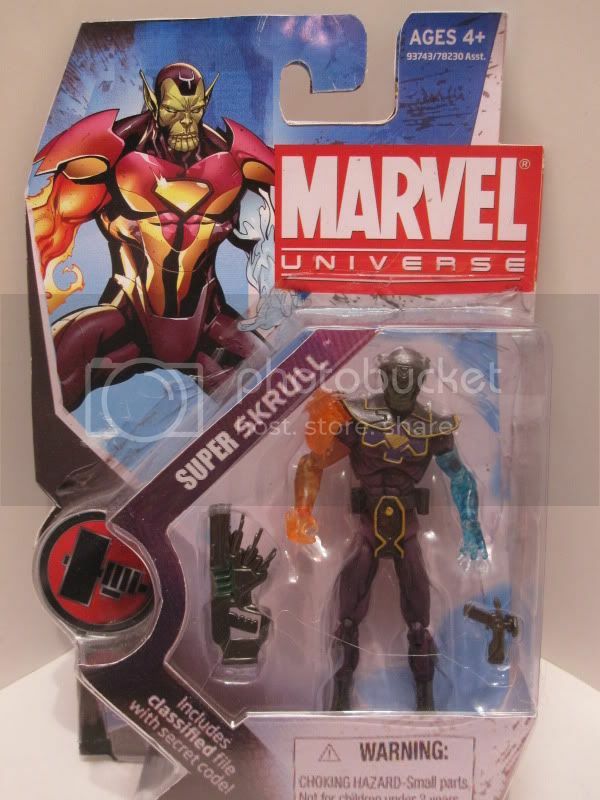 I'm going with the classis Super Skrull- K'Lrt. Modded Colussus body, Thing arms, clear rubber fire add ons. 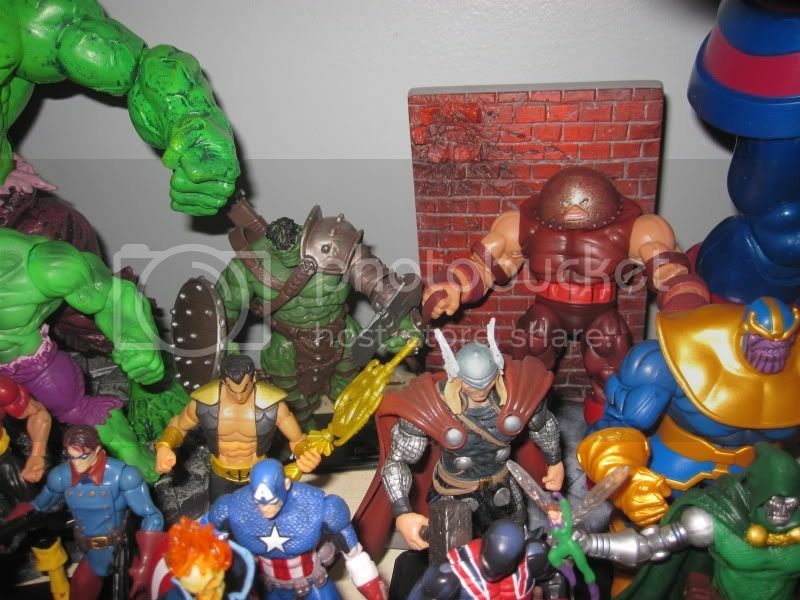 I just recently started collecting the MU line 3 months ago after only wanting a few to display (Avengers and Dark Avengers.) After seeing those I fell in love and just had to have them all. My collection isn't complete but I am trying to stay off the internet for now. Just stopping by all my local Wal-Marts/Targets/TRU in Houston. I started off back when the first few waves hit the shelves in 2009. I took a long hiatus from there. 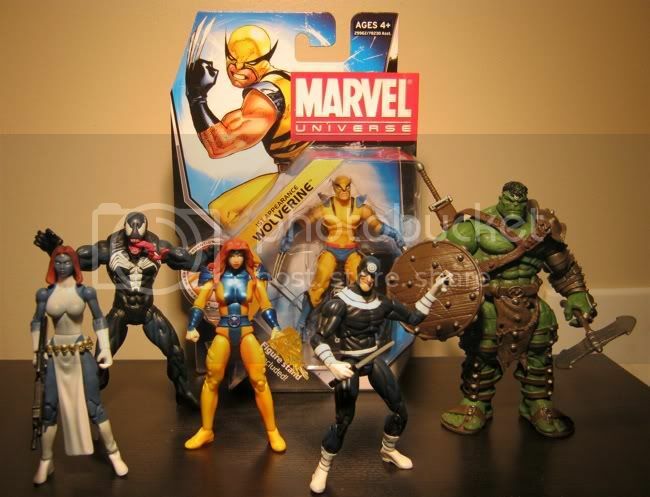 I didnt pick up my next MU figure till about a few weeks ago, when the latest Wave with Cable and Cyclops dropped. Then it just snowballed from there. Bought the latest 2 comic packs, found a Jean Grey, Modular (Bleeding Edge) Iron man, Modern Thor. Currently trying to find Havoc, Ghost Rider. Everything about this line is great. I'm an idiot for ignoring this line as long as I did. Now I'm trying to play catch up. I did, however, recieve an X-Force Warpath as a christmas present last year from my cousin, who is also a collector. 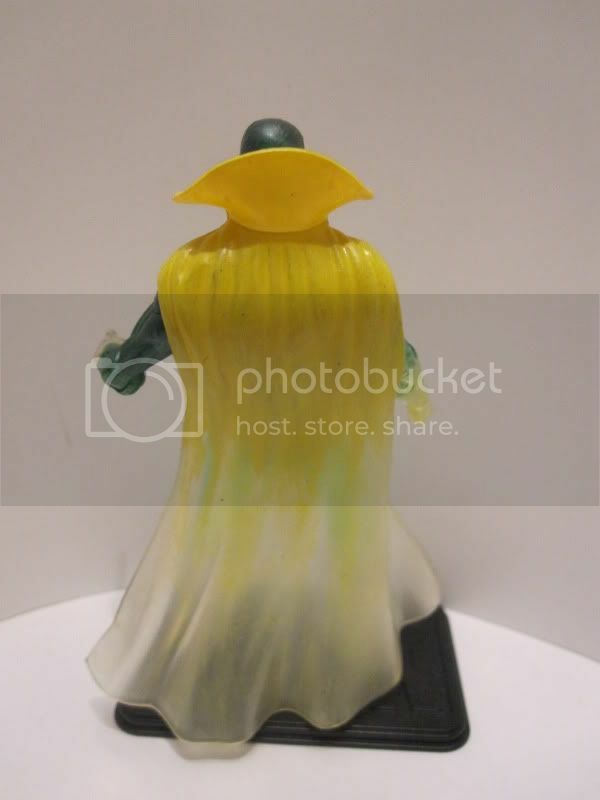 I had no idea how rare this figure was till 2 weeks ago lol. nice Christmas gift.. still looking for 1 myself. I started collecting the line from the get go, but due to the lack of retail locations, my lack of transportation and lack of funds haha my collection is no where as vast and as large as I would like it/want it to be. but it's a work in progress, Rome wasn't built in a day, and there will always be reissues of waves, and ebay for when I just have 2.